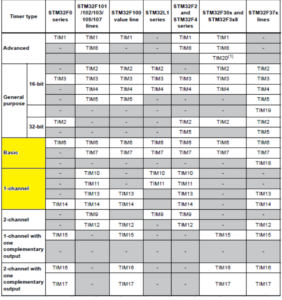 The Basic Timers (BT) TIM6, TIM7, TIM14, etc (1°) are the most simple timers available in the STM32 portfolio. The BT are 16 bit timer. The BT are UP timer only. The BT my be used in DMA and/or under Interrupt. The BT has the capabilities show below. 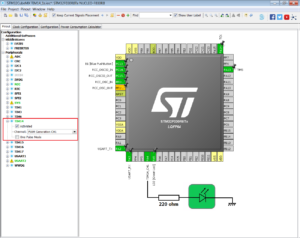 Plese refer to the AN4013 for more info on the STM32 Timers. Up to now (Feb.2018) the timers are divided as shown below. 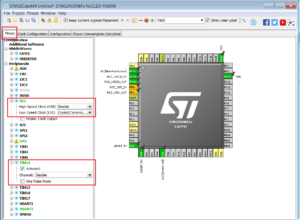 Please check the manual of your STM32 that you need to use. For this first example we use the NUCLEO-F030R8, CUBE-MX and ATOLLIC. 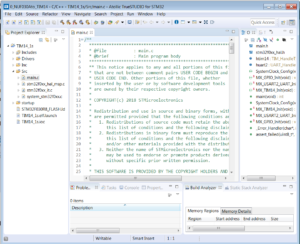 Open CUBE-MX and create a new project. Choose the NUCLEO-F030r8 board and from the window that compare select YES, see below. 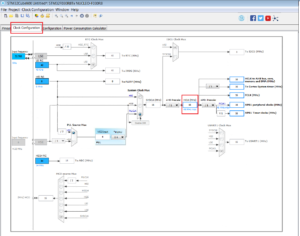 From the PINOUT tab configure the RCC and TIM14 has show below. 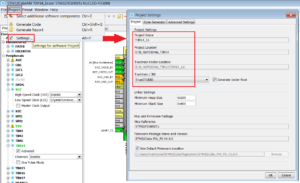 In CLOCK tab configure the HCLK clock to 16 Mhz, see below. 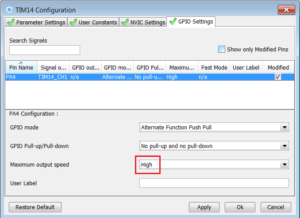 Now select the CONFIGURATION tab and configure the TIM14 parameters as show below. Now is time to generate the project for Atollic. Do the configuration shown below. Generate the project, see below. At the end, you must see something like below. for enable the flashing led at 1 second. insert the Call Back, see below. You must see the led that flashing. 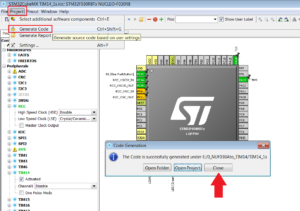 This solution works in Interrupt mode but request a computation section (Call Back) that commits the STM32 core. 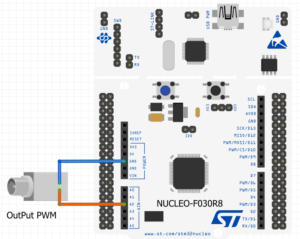 It’s possible use the PWM timer functionality for flashing led that don’t use the STM32 core for running. See the next section. Now let’s see how to use the TIM14 (Basic Timers) (BT) in PWM mode, so we will flash the LED automatically without the MCU load. For use the TIM14 in PWM mode to drive directly a LED in necessary use the TIM14 CH1 PWM output that on STM32F030, is on PA4. The Clock must be configured as before (16 MHz), see below. 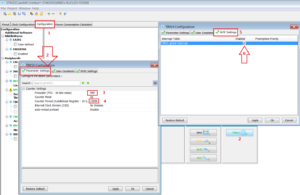 Now is necessary configure the TIM14, choose the CONFIGURATION tab, and see the below setups. Now generate your project, we use the before configuration. You must see the LED connected to PA4 flashing. PA4 correspond to A2 label present on NUCLEO board (Arduino Connector on the left). 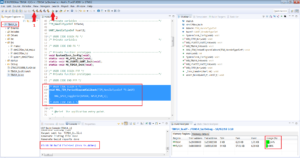 in MX_TIM14_Init function and see the results. 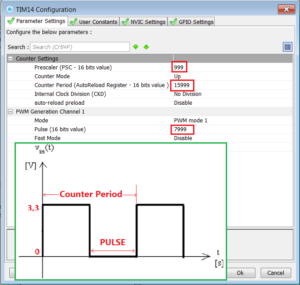 The max timer frequency is 12 Mhz with Prescaler and Period set both to 1.